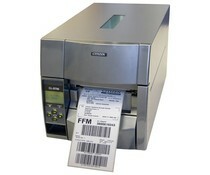 Zebra’s industrial label printers of the ZT600 Series are the ideal choice when you are looking for pack mules to handle very high print volumes. 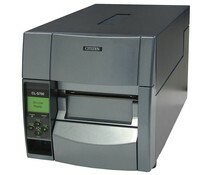 The CL-S703 delivers an outstanding 300dpi resolution for pin-sharp printing. Tough, robust and built to withstand the rigours of most industrial, warehouse and logistics environments, the CL-S703 is built to provide years of trouble-free use. This high performance, industrial printer incorporates a wide range of features and is capable of producing excellent definition. 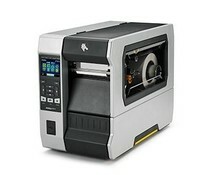 The unique Hi-Open™ case and Hi-Lift™ printer mechanism, significantly reducing the overall footprint of the unit. 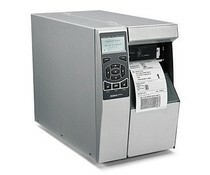 The CL-S700 series is designed for ease of use; the metal mechanism opens vertically to a full 90° to allow for easy ribbon access, while integrated ribbon control and positioning support precision printing on even small or specialist media.